The mashup impresario is ready to take you on a little pop voyage. In the early '00s, mashups dominated the internet with their kooky pairings and inherent viral nature. After a quick disappearance due to some over-saturation in the marketplace, they're back and bigger than ever in the form of snackable videos on Twitter and Instagram made by young DJs from all corners of the world. One such wunderkind is Amorphous, a 19-year-old mashup artist, DJ, and producer from Orlando, Florida who is especially skilled at putting together mini pop masterpieces.. 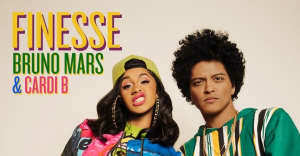 He attracted a good deal of attention earlier this month when he released Bey-Z, an eight track project of well-matched Beyoncé and JAY-Z mashups. 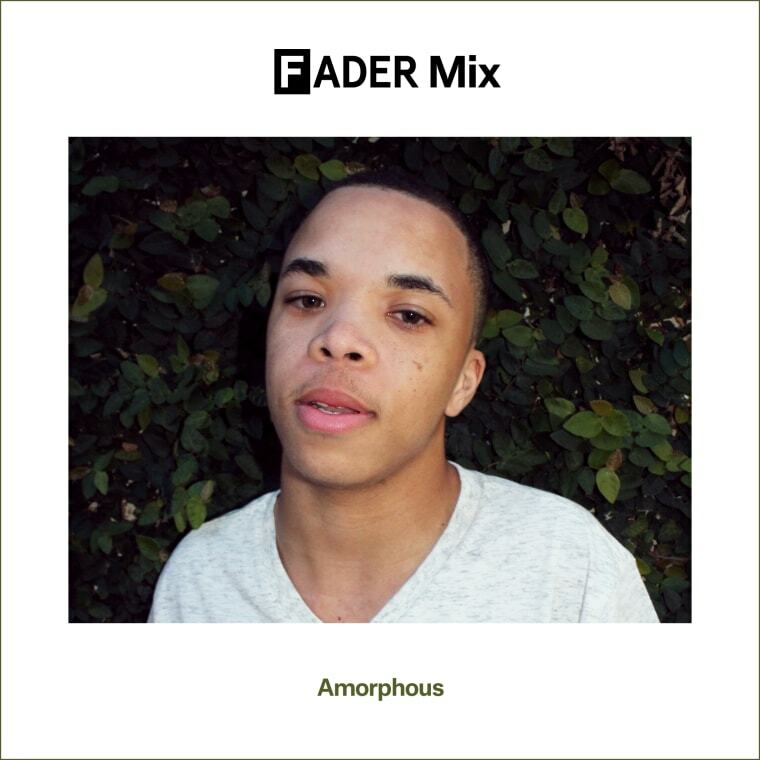 Amorphous's FADER Mix is a natural extension of his releases and a nice tease of his upcoming first, real DJ gigs. There's his own production in there, as well as some quick hellos from Aaliyah, Lumidee, and LSDXOXO. It's a perfect soundtrack for the best night out of your summer. Listen and get to know the young maestro below. Right now, I’m currently in my apartment, a couple of blocks away from my college. It’s thunder storming right now, unfortunately. This mix is quite special to me, honestly! Not only is it a showcase of some of my work including my mashups and productions, it’s a collection and celebration of some of my closest friends’ work, as well as some favorite throwback tracks sprinkled throughout. My goal with this mix was to create a sea of emotions. It’s really unique in the sense that it kind of has its own mind. One minute, you may be listening to a mid-tempo track that allows you room to breathe. The next minute, you may be tempted to head to the dance floor for the next fifteen minutes. It’s almost a representation of my life right now. My earliest musical memory is listening to “Loose Rap” by Aaliyah from her self-titled album at four years old. I remember swearing up and down that it was the theme song for a video game back then! How has your own musical taste evolved over the years? My brother grew me up on a lot of '90s, early 2000s R&B. Artists such as Aaliyah, Destiny’s Child, and Missy Elliott have truly helped shape my music in that department. However, I truly am a fan of a variety music. House, alternative, grime, you name it! As long as it sounds good, I’m a fan! What was the first mashup that inspired you? The first mashup that truly inspired me was no doubt, my good friend RaheemD’s mashup of Drake’s "Marvin’s Room" and Aaliyah’s "If Your Girl Only Knew." He blended them so seamlessly, you’d think it were an original. He honestly has been my biggest inspiration in terms of mashups, and I am proud to say we are great friends today! How do you stay creatively motivated? I feel like creativity flows naturally through me — but it can be propelled by certain people or situations in my life at times. For example, my best friend and upcoming artist Krissy La’Bella, truly challenged me as a producer just starting out — to produce an album that was daring and different. She believed in me from the inception and has only pushed me harder as a producer due to her creative vision. We’ve cooked up some amazing stuff that I absolutely cannot wait to release in the future. My great friend and artist Nico has motivated me so much as well. Just seeing his drive and ambition pushes me to better not only my music, but myself as a person. Working with him recently has been such a pleasure, and he will truly be something dangerous in the industry. What projects do you have coming up this year? Currently, I’m working on a documentary on the life and legacy of Aaliyah entirely on my own, which will be released on August 25. But the real treat that I’m saving for later this year is my debut album. I’ve been working extremely hard on it, trying to craft something special. It features some really amazing artists and it really is a showcase of my talents. I’m also going to be going on tour later in the year/early next year as I finally have been sitting down and honing my skills as a DJ. What’s the last book you read that had a big impact on you? The last book that has had a true impact on me was To Kill A Mockingbird. I haven’t read a lot recently, but that book struck a chord in me as a child. It truly is something special. I really am a great lover of all kinds of food, but there’s nothing like a nice batch of deep-fried chicken to me. It’s pretty easy to make! Thaw the chicken out, season it well (I personally use seasoning salt, garlic, and a couple of other special ingredients to spice it up), and put in the deep fryer and let it do the magic! Valleyz, Tessellated, & Amindi K. Fro$t, "Pine & Ginger"
Jon Hopkins f. Purity Ring, "Breathe This Air"
Byrell The Great f. Kassandra Ebony, Princess Precious, Warren B., "Bubble Drip"
Nico, "Know It or Not"
Amorphous, "A Really Good Feeling"